Kitefliers Studios associate produces this independent film by award-winning writer/directors Alex and Andrew Smith and based on the best-selling novel by James Welch. 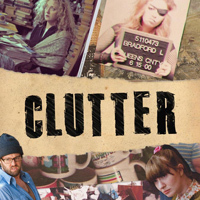 Kitefliers Studios co-executive produces this independent dark comedy, starring Carol Kane and from the writer and producers of the award-winning The Green. 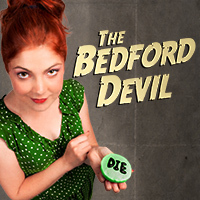 Written by Neil Gobioff & Shawn Paonessa, The Bedford Devil is a twisted, surrealistic dark comedy that marks Kitefliers Studios' first short narrative film. Kitefliers Studios associate produces the Off-Broadway production of this unauthorized parody of The Silence of the Lambs. Kitefliers Studios, LLC announced that it has formed a partnership with film producer Robert Ogden Barnum to produce a slate of three films for major theatrical release, starting production in 2013. Kitefliers partners Neil Gobioff and Shawn Paonessa intend to work with Barnum in several aspects. Using their skills and background as writers, they are already working with Barnum on selecting and analyzing the scripts they intend to produce. "We already have one script we're working on adding to the slate," says Gobioff. "It's too early to say yet, but it's based on novel by a major, modern American novelist. We're still looking for the other two. We'd like to mix genres to diversify the slate. Maybe an action film, for instance, and a comedy for the third." Once the slate selection is finalized, Kitefliers will help furnish the development phase of pre-production and work with Barnum, who will liaise and coordinate the pre-production team leading into principal photography. A rapidly emerging producer, Barnum was a Producer for the Oscar nominated Margin Call, which earned Barnum an Independent Spirit Award, and Executive Producer of Lawless, starring Gary Oldman and Shia LaBeouf, scheduled for US release this August. "Barnum is tremendous to work with," says Paonessa. "He's as hungry as we are to tell a good story well. Plus, his insights into production, especially from the L.A. side of things, have been invaluable. We're really excited to work with him." "Diversity is pretty much the strategy," says Gobioff. "At the end of the day, we want to tell great stories more and more on our own. But there is a lot to be learned and gained by working with great people on multiple levels. We're really looking forward to this slate to help balance what we do now and for the future." a Florida-based production company, devoted to the art of innovative storytelling through film, multimedia and literary form.